The Roman Catholic Diocese of Hamilton has rescinded their annual funding for the Challenge for Change peace forum because this year’s keynote speaker, James Loney, is gay. Loney, incidentally, is the Roman Catholic peace activist that was held hostage in Iraq for several months. 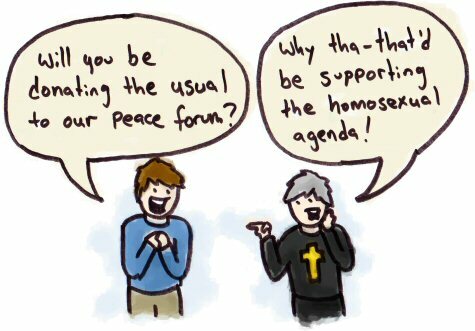 But, of course, the church simply shan’t be promoting peace if it means letting his kind speak. What meaningful input could he possibly shed on the subject, anyway? Scoff!